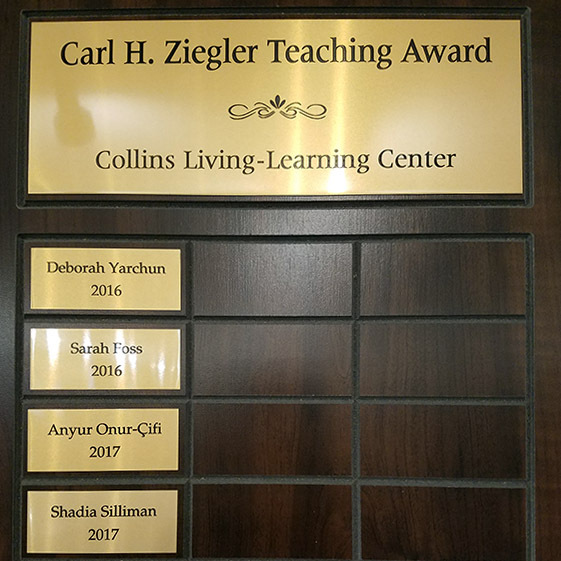 Collins is seeking nominations from students for the Annual Carl H. Ziegler Collins Teaching Award. If you had a great Collins LLC seminar instructor this fall, send your instructor's name along with an explanatory sentence or two directly to Collins LLC Director Padraic Kenney at pjkenney@indiana.edu. We'll put out another call for spring nominations later this semester, so take note of your favorite instructors as the semester progresses.